Get your adventure on with a half-day trip to Selvatica ecological park. Set out from Playa del Carmen to explore this incredible jungle setting and enjoy a combo of thrilling activities. First, soar through the skies on 12 different ziplines, savoring the spectacular rainforest scenery as you go. Then hit the ground aboard your own ATV, navigating wooded off-road trails toward an ancient Mayan cenote. 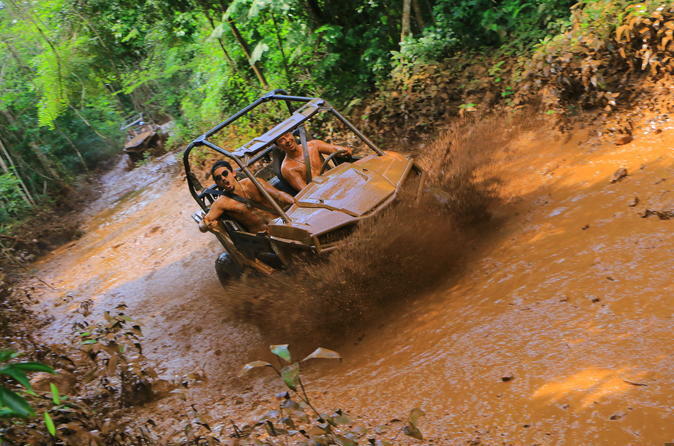 Turn down the adrenaline levels with a refreshing swim before continuing your ATV adventure tour. A light lunch is also included.